Don’t worry! If you missed the this months issue of the Giornale Di Brescia’s Summer Garda magazine you’ll be able to keep up with all of it’s valuable content here and by following the Love Lake Garda blog and events calendar. Below is an article from this months magazine, you can read the full magazine here. Summer has almost passed but the show goes on! September concludes the season but Lake Garda still offers plenty to do! For anyone who hates chaos and would rather relax and enjoy themselves, the last stages of summer are the best. As such, during September on the lake, summer is still well and truly alive; both in terms of climate and entertainment which continue uninterrupted. In short, Lake Garda’s tourist industry is not quite ready to close its doors. For sports enthusiasts and lovers of sailing, September is also the month of the big regattas, including the Gorla Trophy and most importantly the legendary Centomiglia; the queen of sailing challenges on Lake Garda. On the lake summer is drawing to a close, but the holiday continues. 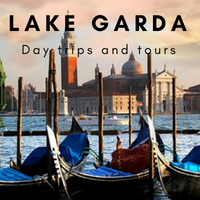 Click the expand button below to read more in September edition of Summer Garda!